Restless spirits? 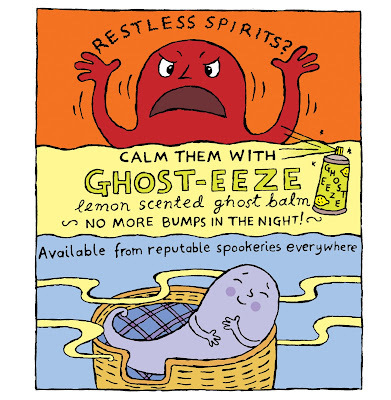 Calm them with Ghost-Eeze, lemon scented Ghost Balm! No more bumps in the night! From MOSTLY GHOSTLY by Otto Fishblanket.